Advance sales (phone / online) end 4pm each day. Door sales (pending availability of returned or unused tickets) / Will Call open 6:30pm each day. PARKING: Free parking is located in the lot just west of the church across Rio Grande and in the parking garage directly behind the church on W. 16th Street. 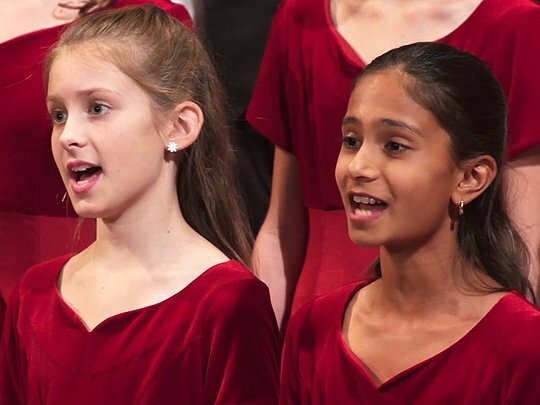 Conspirare Youth Choirs enters its 10th anniversary season with a musical celebration that both reflects the beginning of the organization and points forward to the next decade of musical artistry to come. The choirs will perform audience-favorites from past winter concerts, including music by Chilcott, Rutter, and Bernstein. They will also feature recently composed works, “Sir Christemas” by Derek Holman, and the CYC commissioned piece, “Velvet shoes” by Minnesota-based composer, Daniel Kallmann.